Know everything about Magadh University Distance Education 2019. In this article, you'll find information about various distance education courses offered by Magadh University,the fee structure for the courses, duration of the courses, eligibility criteria for getting admission and complete admission procedure. 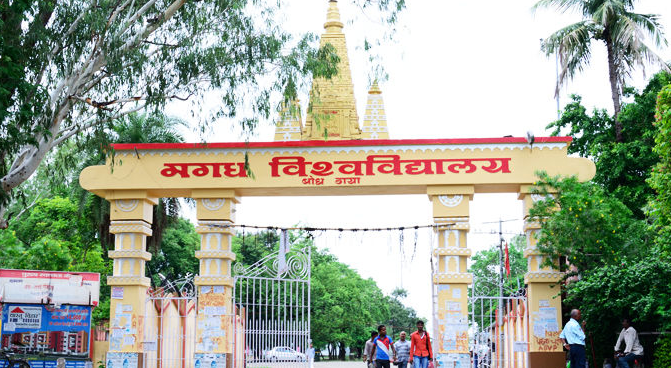 Unlike Magadh University, not every university gets a chance to open its main campus in the holy city of Bodh-Gaya. The birth place of Mahatma Buddha is an important pilgrimage destination for people all around the world. The temple of Bodh-Gaya is very generous towards the university as it donated 470 acres to the university fund. This land houses the main campus of Magadh University. The university was founded in the year 1962 making it a prominent figure of higher studies and excellence in the field of education in our country. University is up to date with modern facilities and other amenities to provide the best possible education for the students. Magadh university boast excellent hostel facilities for its students, a fully stacked library, lush green gardens to help students with their studies. Being in a religious city, the campus is kept clean and is extremely peaceful and pollution free. University offers a wide range of courses ranging from under graduate level to post graduate level. It is a prime institute for regular studies as well as distance education. The course material provided with distance courses is very easy to understand and help students to develop key skills required for the field. B.A. in A. I. & A. S.
M.A. in A. I. & A. S.